May 13, 2017, the number of GlobeCore equipment in Pakistan increased by one unit. 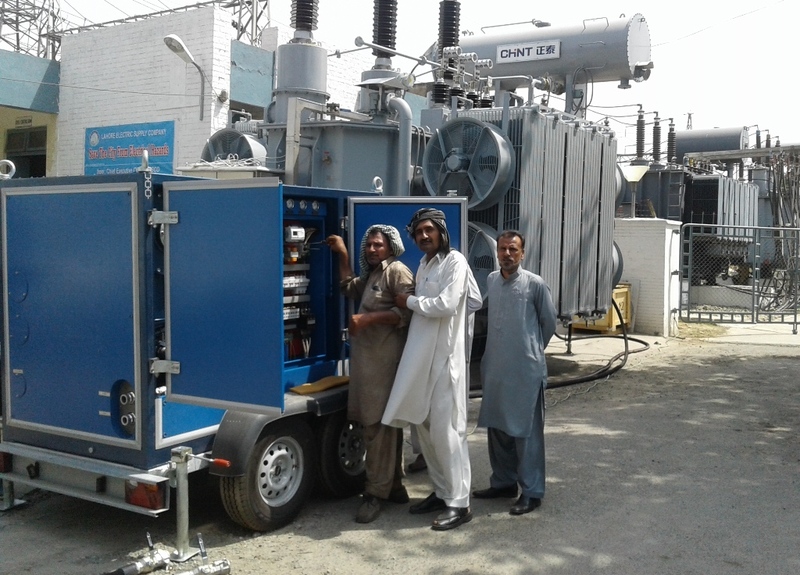 A CMM-4/7 unit was commissioned by the company’s engineering team in Lahore. This equipment performs heating of power transformers, as well as drying, cleaning, degassing and nitriding of insulating oil. ISO 4406 cleanliness class – / 14/12 . Regular servicing of power transformers with CMM-4/7 allows to prolong their service life and maintain the reliable operating life of the transformer.